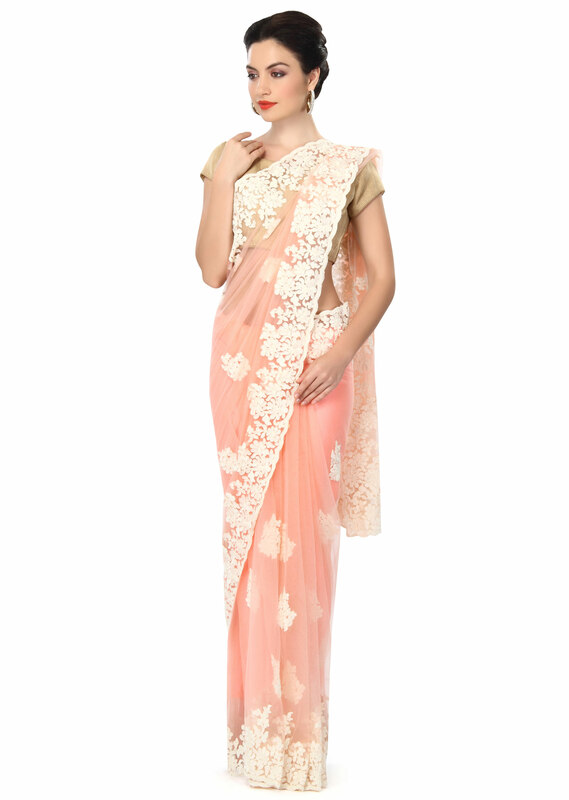 Peach saree featuring in net. 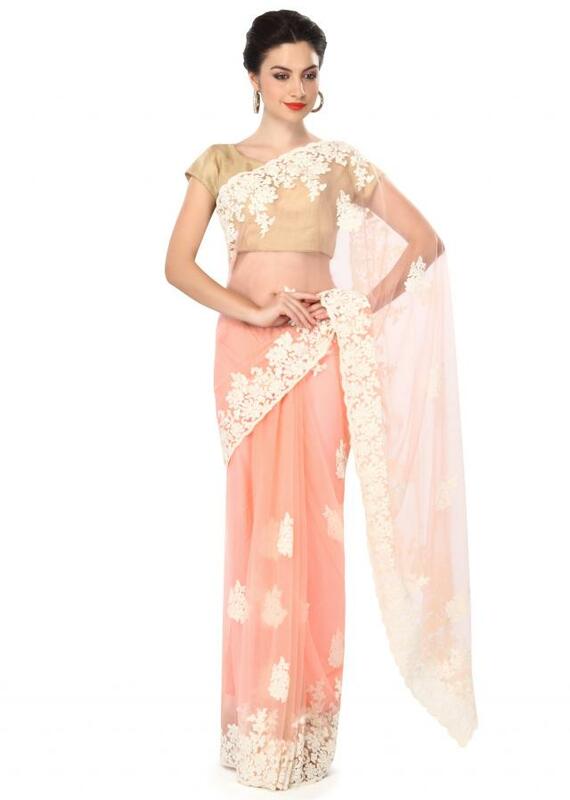 Its embellished in resham embroidered butti and border. 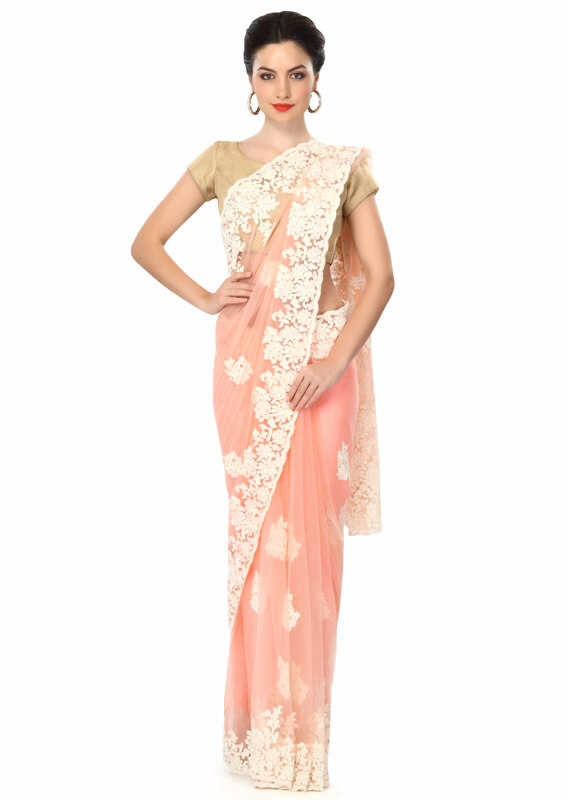 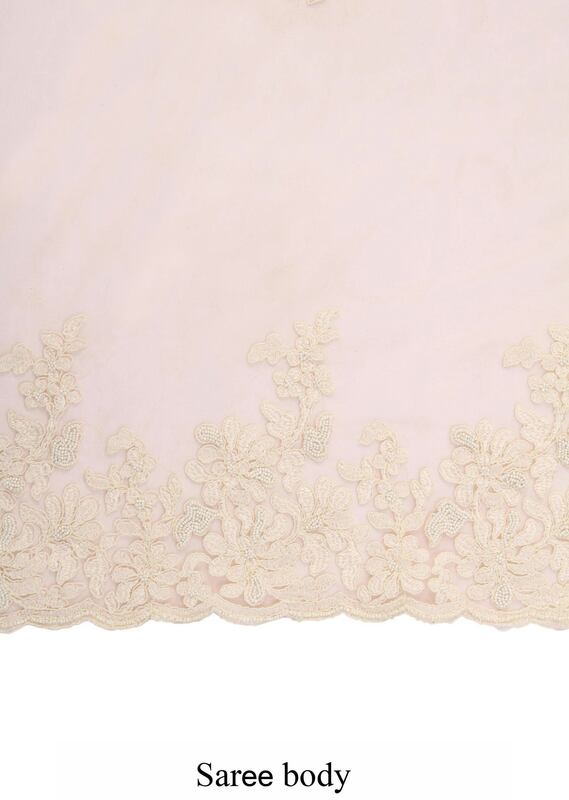 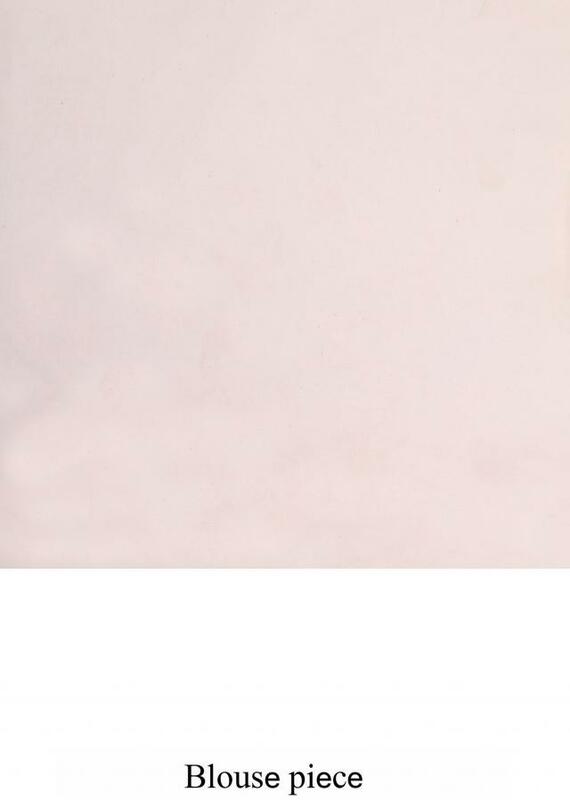 Blouse is unstitched in peach net.